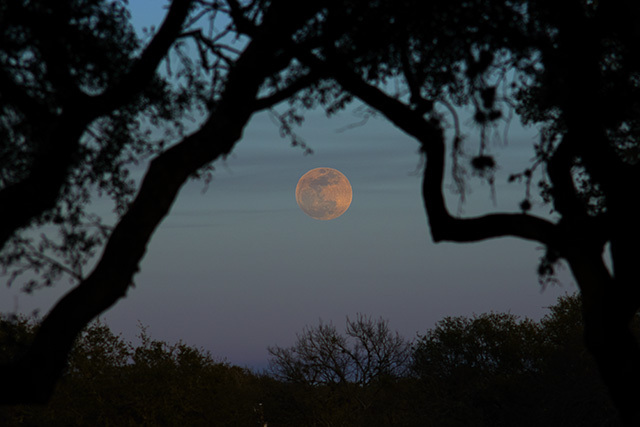 Twelve hours before the total lunar eclipse, the super blue Moon rising through thin clouds from Austin, Texas. Sony a6300 with Vivitar 200mm lens. Single image exorposed for 1/640 sec at f/5.6 and ISO 100. Image crop and exposure adjustments in Photoshop. 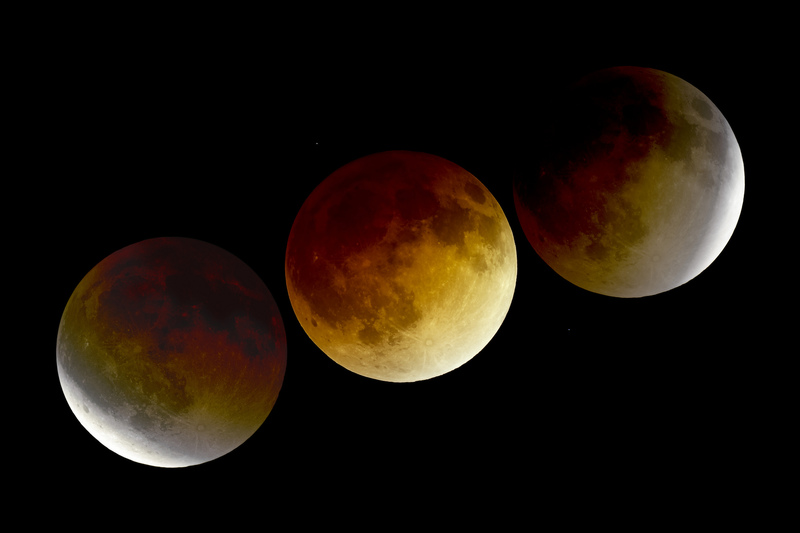 I was able to photograph a complete total lunar eclipse in April 2014. I’ve gone through the exposures of my good shots to prepare a rough guide to exposures during the eclipse. Take these with a grain of salt because there are other variables. I'll scale my personal exposures to the exposure needed for the full Moon during the penumbral (partial earth shadow) eclipse before the partial umbral (full earth shadow) eclipse starts. Exposures change very quickly at the start and end of totality. If your camera supports automatic exposure bracketing, those are great times to use it with an exposure range of at least 5 EV (stops). During the mid part of totality there is plenty of time to get the exposure right and shoot multiple images to stack for noise reduction.